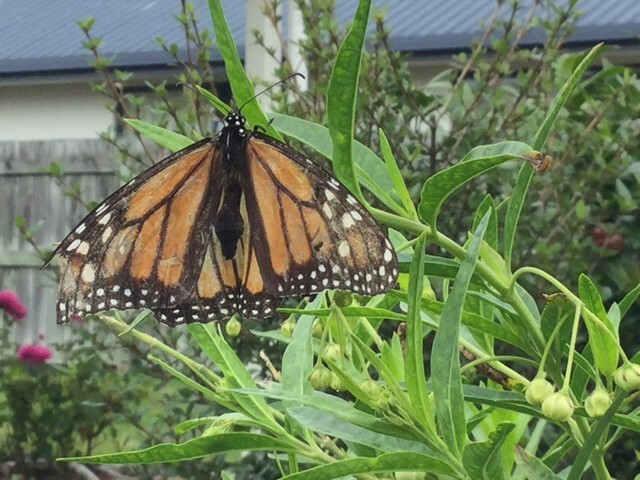 This is our third year of caring for monarch butterflies. The previous two years we have released about 20 butterflies per year. The problem was predators such as wasps and ants have been eating the eggs and small caterpillars. So in 2018, we have been taking eggs off the plants and bringing them inside to hatch and mature. So far we have over 30 eggs and caterpillars on the go and with more of the season to come, who knows what the number will reach? 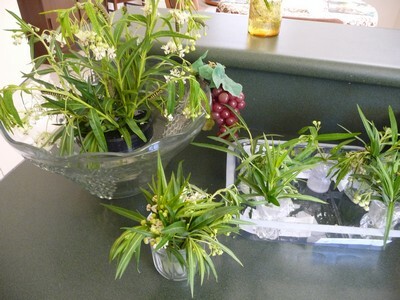 They require replacement of the leaves regularly, which isn't a problem for us with several plants to take cuttings from. The other thing it they eat like mad and of course that creates loads of droppings. 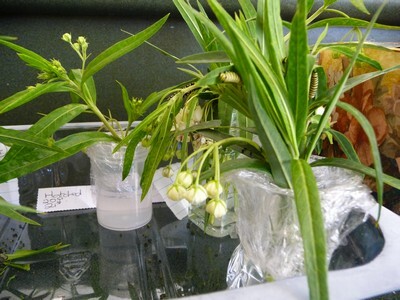 We get around that by putting the cuttings in a bottle with water, then placing the bottle in a larger container to catch their waste product. As we have the critters on the kitchen bench, its ideal to contain the little balls as they fall. Below are four pictures. First an old butterfly comes to lay eggs. This one looked worn out but the others are in good condition. 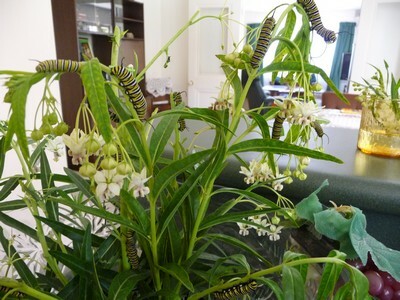 Second is an overview of our menagerie, the third the larger caterpillars and finally the newer arrivals. Earlier years can be looked at by clicking on 'Butterflies' on the labels to the right. We will keep you posted on how things develop.